Stress has always been a part of our lives. In these hectic times, people lead an increasingly stressful life. Experts state that a little stress can be good; it keeps you sharp and ready to move forward, and is sometimes vital for achieving optimum performance. However, medical research has determined that prolonged stress is very bad for the body, and can block the body’s natural ability to repair, regenerate and protect itself. Over 90% of diseases are caused by stress! Stress is both a physical and psychological response. It can lead to chronic disease, obesity, insomnia, deteriorating relationships, depression, and more. Stress is such a powerful and harmful force that it is vital that you learn effective stress management techniques to live a successful, happy, and healthy life starting today. We must remember that we will always come across inevitable factors that cause pressure and anxiety on us. What we do not know is that it is not really the problems that are difficult to deal with, but our attitude towards the problems. Basically, the cause of stress is your attitude toward these things. 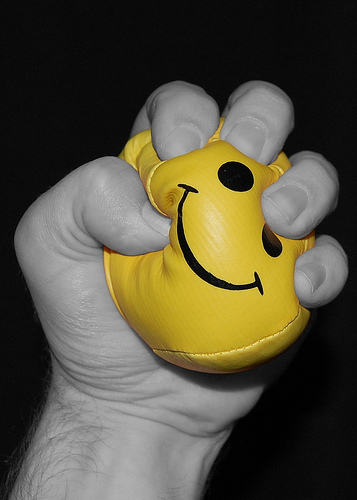 What then, is an effective way to deal with stressors? Making a list of your stressful experiences is very useful. Immediately deal with the issues that you can change, for instance waking up earlier for work in the morning, not leaving things till the last minute, and delegating tasks in case you are taking responsibility for everything. Forget about the issues that you cannot influence like being stuck in a traffic jam or not getting into the elevator because there is no room for you. A few minutes of break time will do you a world of good. Wash your face, breath slowly and deeply, and notice if there is tension in any part of your body and release it. You can also listen to relaxing music, or call a friend. Releasing your inner feelings to a friend is a healthy option. Reminding yourself that the stressful event will end sooner or later can make you see the positive sides of things. At the same time, calm your emotions and think of what the best thing to do is rather than spend your energy on something that doesn’t truly matter in the big picture. Ask yourself: What are some of the triggers for your anxiety? If for example it’s your job, then maybe it’s time for you to reconsider whether it would be best to find a less stressful job. You can also make your job more tolerable by allowing yourself to get that much needed vacation. Just as we all have within us the stress response, we also have an opposite response, which is the relaxation response. A person should elicit that on a regular basis. The relaxation response involves two steps. Repetition – the repetition can be a word, a sound, an expression, or a repetitive movement. The second step is to ignore other thoughts that come to your mind while you’re doing the repetition, and come back to the repetition. The technique should be used once or twice per day for about 15 minutes. Sit quietly and choose a suitable repetition, like a prayer, the sound Om, or the word love, or calm. Or you can do a repetitive exercise, for instance yoga, jogging, Reiki. Additional repetitive activities can be knitting, anything. When you incorporate this into your everyday life, you become calmer and better able to handle the stressors. Practice makes perfect and the more you practice relaxing your mind, the easier it gets. The true causes of stress are not the problems or negative experiences that you encounter in your life; but your attitude toward them. So, the trick is to change your attitude and to develop a relaxed state, because you cannot be stressed and relaxed at the same time. It is important to understand that what we focus on, we energize. The more you continue to think about the factors that cause your stress, the more energy you give it. What kinds of things do you do consistently in order to handle your daily stress levels better? Please share in the comment section below.